The little Benton County jail won’t be replaced, voters decided. 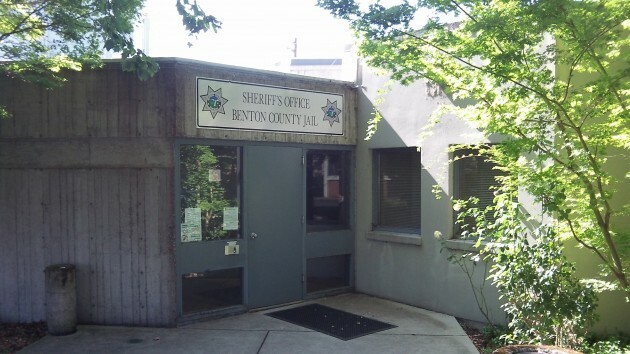 It’s disappointing that Benton County will have to continue wasting deputy sheriffs’ time driving inmates back and forth to jail in McMinnville and Newport now that a bond measure for an adequate local jail has been defeated. The result of the bond election — abour 52 percent against and 48 percent in favor, according to unofficial returns — leave me wondering what else the county commissioners and Sheriff Scott Jackson could have done to produce a different outcome. The time seemed perfect for this issue finally to get solved. The need is obvious, considering how often the little 40-bed jail is unable to accept new inmates for lack of space. Interest rates are low, keeping the cost of bonds relatively modest to local authorities and taxpayers. The argument that Benton County is a safe place, so who needs a bigger jail, answers itself. It is safe at least in part because the county rents jail beds for sentenced offenders elsewhere and is forced to waste uncounted hours on prisoner transport. But that, apparently, is what slightly more than half of voters in this bond election want. Well, being proactive as Corvallis is, they will soon have a tidy sum of money from the tax on Recreational Cannabis. Some people think it is “an insignificant amount of money that can only be spent …” but those people are very wrong. They’ll be able to build a Prison Palace and pay for it – just wait! Benton County ought to stop jailing offenders as payback for this defeat? You have succumbed to bitterness. You’re better than that. It is very disingenuous to think the voters did not know what they were voting for in M91. So rather than abide the will of the people, we blow that off. Politics is a profession where the only skill you need to have is the ability to deceive people. Benton County politicians should hone this skill by paying more attention to Albany politicians. Pretty cynical of you Gordon. But I must admit it describes you to a “T”. Another smug personal attack by the master of baloney. Bob only highlights his “sheeplike” attitude that government will/can do no wrong. I’ll take cynicism any day, all day. So when are you going to post that proof about the Council illegally and deliberately funneling money to folks. You made that charge many times there Gordon. You have to be very cynical, untrustworthy, and DECEPTIVE to accuse folks of felonies without ever putting up any proof. Of course, you could always publically apologize for all those nasty comments. Woods, what are you talking about? Show me a quote where I accused anyone on the council of committing a “felony.” If you can’t, are you prepared to call yourself a liar? Keep up the good fight, Ray. This is one issue I’m with you on and agree with all your points. Konopa fancies herself a “futures” expert when it comes to pot sales? I guess the voters of Albany will have to decide this.